Many people own one home in which they live, and another one for investment purpose. While they are waiting for the sale price to reach a desired amount, the real estate that they own can still earn them a regular income. The question is whether an offer is good enough and what is the correct approach to entering into a rental agreement. 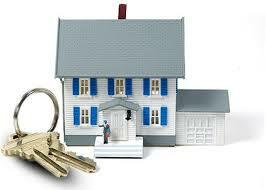 Being a landlord brings responsibilities like the maintenance of the real estate leased out. Your Personal Financial Mentor advises prospective landlords to check that basic amenities like electricity, water supply, garbage disposal system and health and safety features are in place. In general, he/she must regularly see to the up-keep of the premises, especially since tenants are increasingly filing lawsuits against house owners for any damages faced within the rented premises. The amount of rent and payment frequency is another important decision to be made. This should rake in a profit at the end of the day, after considering its purchase price, current real estate market value and subtracting maintenance costs. Also, there is tax that the landlord is paying on this house. While being attached to the house, it is natural to expect some damage, or at the very minimum, some wear and tear of the furniture being provided for the tenants’ use. There is also the chance that a good offer may come along to sell the real estate while the rental contract is on, and the owner has to evaluate these chances before getting into any commitment. Once a house owner chooses to give his real estate on rent, he needs to find the ideal tenant. This can be achieved by various advertisement media, like the classified section in local newspapers or real estate magazines. A broker’s services can also be enlisted. The lease agreement needs to be drafted by a lawyer and the landlord should ensure that the terms and conditions ensuring his ownership rights are included. By becoming a member of one of the many landlord associations, one can benefit from the experience of others who have rented out a similar type of real estate. Instead of getting tempted at the first offer that comes along, a real estate owner first needs to find out whether the tenants are legitimate and are capable of taking good care of the property and its furnishings. They should not pose a nuisance or an embarrassment for the neighborhood. In summary, renting out a piece of real estate is a great revenue-generating option, provided the owner does thorough research and preparation.